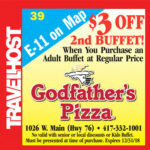 Show this coupon and save at Godfather’s Pizza in Branson! 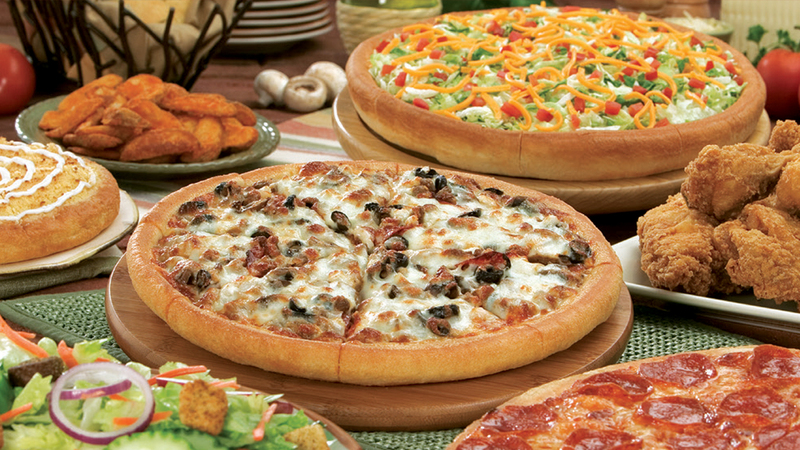 Godfather’s Pizza- Branson, featuring Broasted Chicken with all the fixens you’ll want! 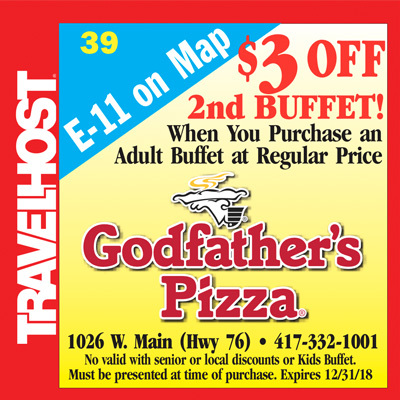 We also offer a Pick-up window – call ahead or wait 20 minutes and you’ll be on your way home with a great meal for your family.